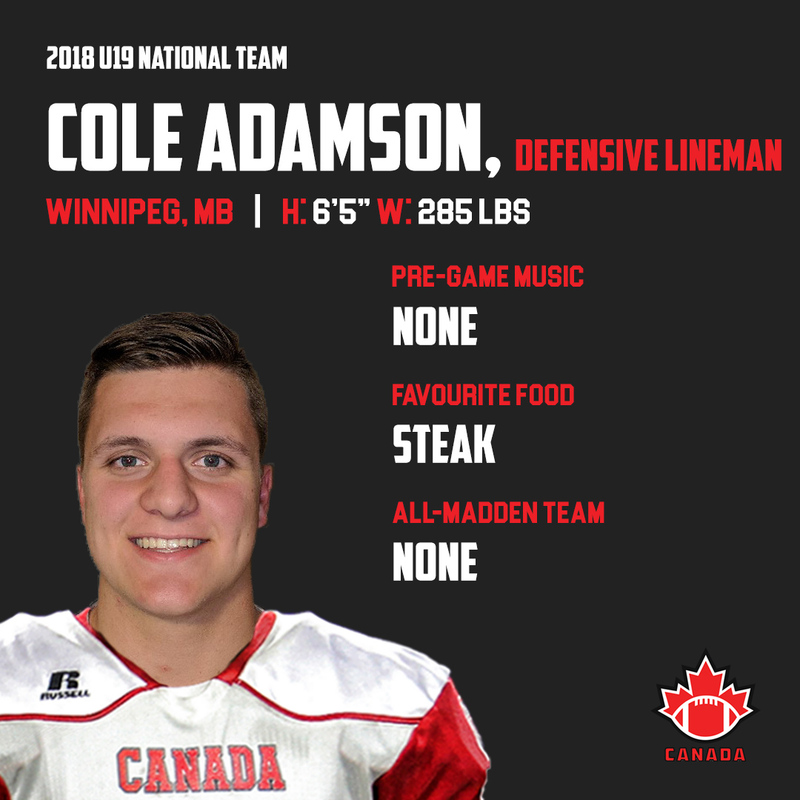 Cole Adamson is a defensive lineman from Winnipeg, Manitoba who will compete at the 2018 International Bowl in Arlington, Texas as a member of the National Under-19 team. The lineman was first introduced to the sport approximately eight years ago. “I started playing football for my community and I just fell in love with the game,” Adamson added. Among the teams he has played for include the Crestwood Grizzlies as well as Oak Park Raiders of the Winnipeg High School Football League (WHSFL). Currently, Adamson competes with Canada West Universities Athletic Association’s (CWUAA) University of Manitoba Bisons. This past year has been a highlight reel season for the lineman. “Starting for the Bisons, first year out of high school and just playing besides the other players on the d-line that have been playing for years,” he said. On the field, Adamson tries to emulate Houston Texans’ star J.J Watt. Surprised when he learned from Bisons’ Head Coach Brian Dobie that he was selected to the National Team, Adamson is thrilled and ecstatic to have the opportunity to play for Canada at the 2018 International Bowl.